The Peoples Democratic Party (PDP) says the claim of Ibrahim Mantu, a former deputy senate president, that he helped the party rig elections is false. During an interview on Channels Television, Mantu said on behalf of the PDP, he by bribed officials of the Independent National Electoral Commission (INEC) as well as security agents. But the PDP said Mantu’s claims were personal to him and has nothing to do with the PDP”. The party said Mantu acted in personal capacity for himself, adding that it has never asked him to rig elections on the party’s behalf. It asked what happened to Mantu’s “rigging machinery” that caused him to lose his 2007 senatorial election. 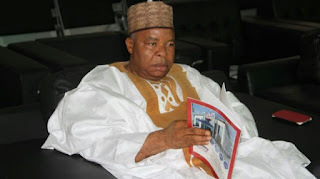 “Senator Mantu’s reported claims was personal to him and has nothing to do with the PDP, as the party has never directed any of its members to rig election on its behalf, at any point since its formation,” PDP wrote on Twitter. “Senator Mantu spoke about his personal activities and tendencies in the elections where he participated. The @OfficialPDPNig has never directed or had any pact with him to rig election on its behalf. Never! “Individuals run their elections on the platform of political parties once they emerge as candidates. In the PDP, candidates are issued with the party’s Code of Conduct containing the basic rules of electioneering engagements. “It will therefore be misplaced for anybody, including the failed @APCNigeria, to surmise that Senator Mantu, in the said confession of rigging, acted on behalf of the @OfficialPDPNig p.